In 2013, Lorraine, Kim, Susan and I ‘met’ on an on-line fat loss programme. We had a number of things in common, not least the fact that we were all 53. The programme that we were following, Total Fat Burn Revolution, was devised and run by Julia Buckley who is a renowned fitness writer and coach. I was fortunate enough to be part of her pilot for this programme and along with the others progressed to her new venture, Extreme Inferno. Both are 12 week programmes and are designed to torch fat leaving you fit, healthy and full of life. This programme is not aimed at any specific age group – it was pure coincidence that the four of us were the same age. The proggers (as we were fondly known) ranged from mid-twenties to late fifties and during the year we have celebrated milestone birthdays, engagements, awarding of a PhD, a wedding, a baby, new jobs and house moves. There have also been commiserations over break-ups and job loss but we were all there in the ether supporting each other. As can be imagined, we all had different reasons for wanting to lose fat but the one aim that bound the four of us was to be ‘fit and fabulous’ in our fifties. The workouts are grouped into three phases, each lasting four weeks, and as we became fitter and more flexible, advanced versions of some exercises were available. One joy of the programme is that you can exercise at home or outdoors, you don’t need to belong to a gym. Suitable clothing and footwear along with a mat, some dumbbells and a stability ball are all you need. Yes, ladies lift weights! You may have noted that I use the term “fat loss” rather than “weight loss” as in more usual in exercise programmes. This is intentional as the title indicates but also because some people, and I am one of them, wanted to lose body fat held but don’t want (or need) to lose weight. So what is the subtle (or not so subtle) difference? If you lose weight, you will lose fat, hence the reason we generally refer to weight loss. With weight loss, we measure the pounds and focus on the numbers but this number will record total mass including fat, water and lean mass (muscle, tendons and bone mineral deposits). By looking to shed body fat, weight will generally be lost in the initial stages but this may stabilise depending on your ultimate aims. For me, I wanted to maintain my weight (perhaps even increase it by a few pounds) but shift the stubborn fat around my torso. So moving onto the diet and nutritional aspect of the programme. Julia does not recommend a diet but points to a healthy and balanced diet. I use the word diet in the widest sense (it’s worth looking in a dictionary to remind ourselves what the word actually means). Yes, it is recommended that we ditch the sugar and processed foods and watch our alcohol consumption but then we all know that deep down don’t we? Coined by Julia but adopted by most of us, we now eat and drink ‘mostly healthy, most of the time’. It works – pop over to Julia’s website (www.juliabuckley.co.uk) or look in her book for success stories. A word about the success stories. They are real. Real life people. Real photos. True stories. I know as I am one of them. Believe me when I say that I have no idea how to enhance a photograph, it really is a case of ‘the camera doesn’t lie’.. If you watch the promotional video, you’ll also get a glimpse of me! January is traditionally the time to start diets and new exercise programmes. Make 2014 the year you make a difference and celebrate the beautiful body you have. The others and I now rock bikinis and leggings. Sleeveless dresses and tops have reappeared! Go for it and join us as fabulous, fit and healthy ladies. PS: the programme works for blokes too! 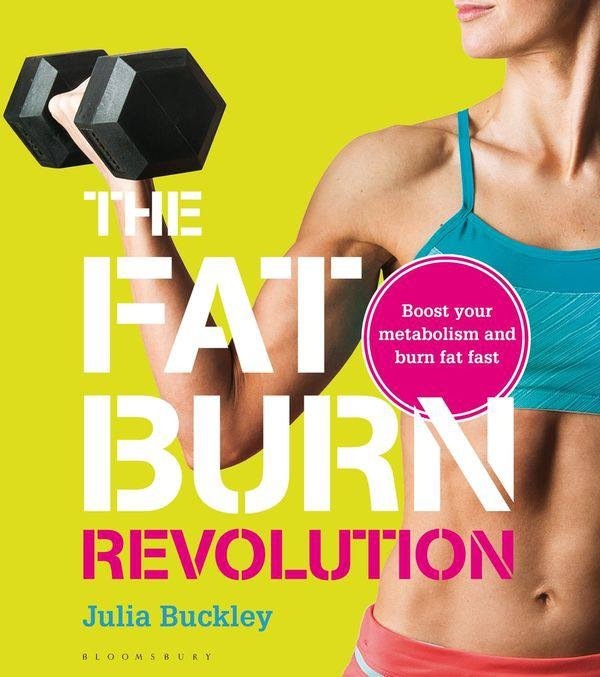 A full review of The Fat Burn Revolution by Julia Buckley will be posted once I have received my copy of the book. We all know that walking is good for you but have you considered Nordic Walking? Originally created as a means for skiers to continue with their exercise and training all year round, this is a fitness trend that has been growing in the UK recently. You may have seen people out walking with poles – chances are they are Nordic Walking (NW). You can also walk or ramble with a pole or two but I am specifically talking about Nordic Walking. The pluses are that Nordic Walking can be done by anybody, anywhere and does not require expensive equipment or clothing. Interested? Again, NWUK may be able to assist as they hold a register of instructors but for those of you in Maidenhead, Jo Whitfield and I are starting group sessions in January 2014 so please get in contact with either of us for further details. We are both qualified Personal Trainers and Pilates instructors as well as Nordic Walking instructors and look forward to encouraging you to start Nordic Walking.